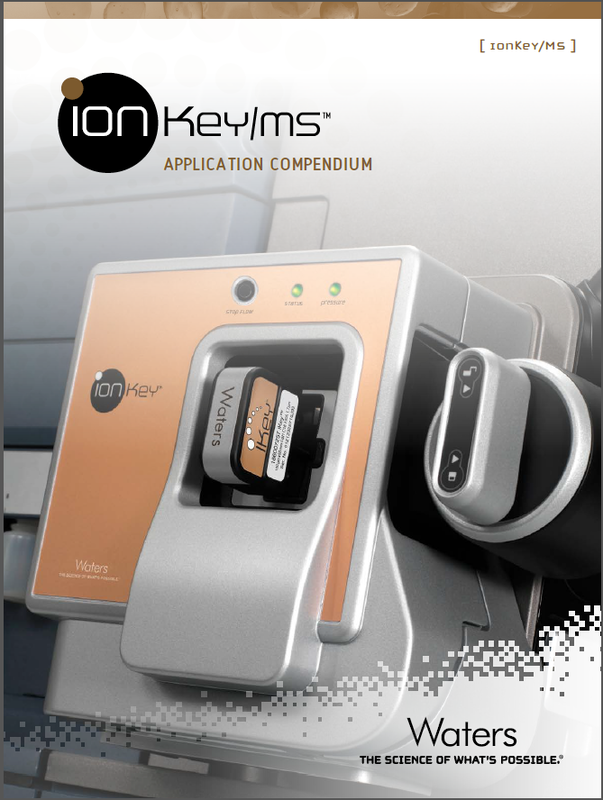 This applications notebook contains application notes and white papers featuring ionKey/MS and the iKey Separation device. See how we are bringing microflow LC-MS to the masses by creating a technology that standardizes and simplifies microflow. 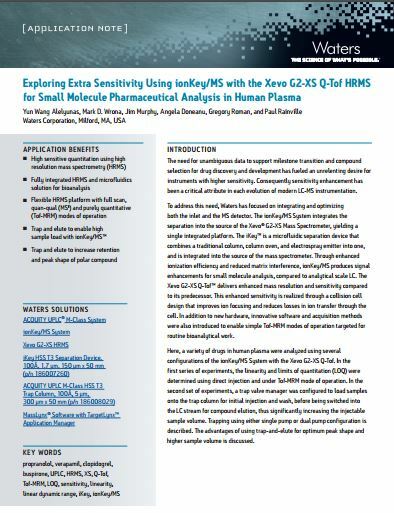 These application notes and whitepapers show how to increase sensitivity up to 40X, while reducing sample requirements, and saving up to 60X on solvents - which increases your confidence, saves you time and resources. HRMS data for quantitative applications are becoming more and more widely accepted. UNIFI software enables collection of multiple modes of data and flexible quantitation workflows. UNIFI enables users to develop, process, and analyze HRMS bioanalysis assays with workflows that fit traditional tandem discovery or regulated bioanalytical workflows. This blog discusses a hot topic - HRMS used in a regulated bioanalysis environment. 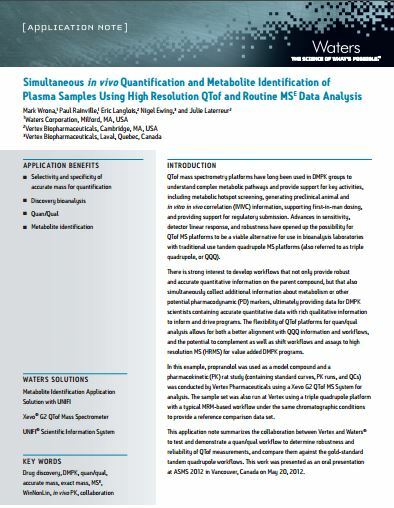 Learn how GSK saw a 50-fold increase in assay sensitivity through the use of a SYNAPT G2-Si High Definition Mass Spectrometer to separate matrix interferences observed when using a unit resolution triple quadrupole MS.
What Sensitivity Gains can be Achieved by Combining Microflow LC with HRMS? 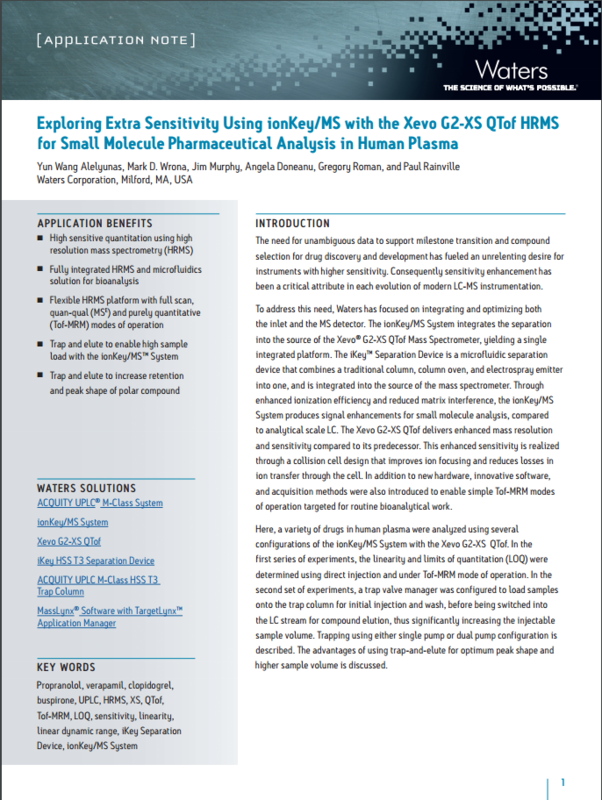 Using samples in human plasma, sub-femtogram on-column sensitivity is demonstrated using the ionKey/MS System with the Xevo G2-XS QTof. 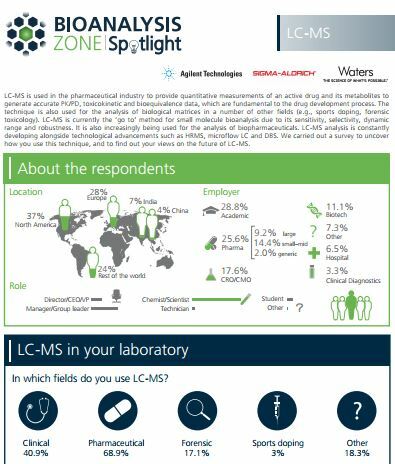 Capillary LC (cLC) coupled to MS has the potential to improve detection limits, address limited sample volumes and allow multiple analyses from one sample. This is particularly attractive in areas where ultrahigh assay sensitivity, low limits of detection and small sample volumes are becoming commonplace. The authors review the evolution of microscale LC/MS in DMPK, bioanalysis, metabolic profiling, and biofluid analysis. Bioanalysis to support PK-PD studies and clinical trials can be challenging especially when quantifying highly potent compounds. 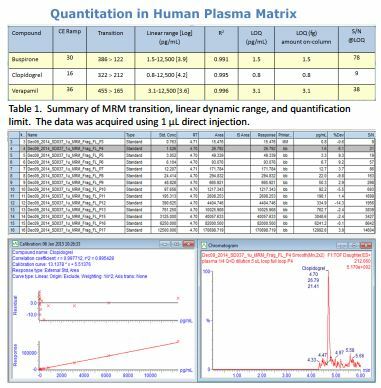 In this study, quantitation attributes were determined for a set of drug-like compounds in human plasma using microflow LC and high resolution mass spectrometry (HRMS) with ionKey/MS and the Xevo G2-XS Time of Flight (Tof) mass spectrometer. 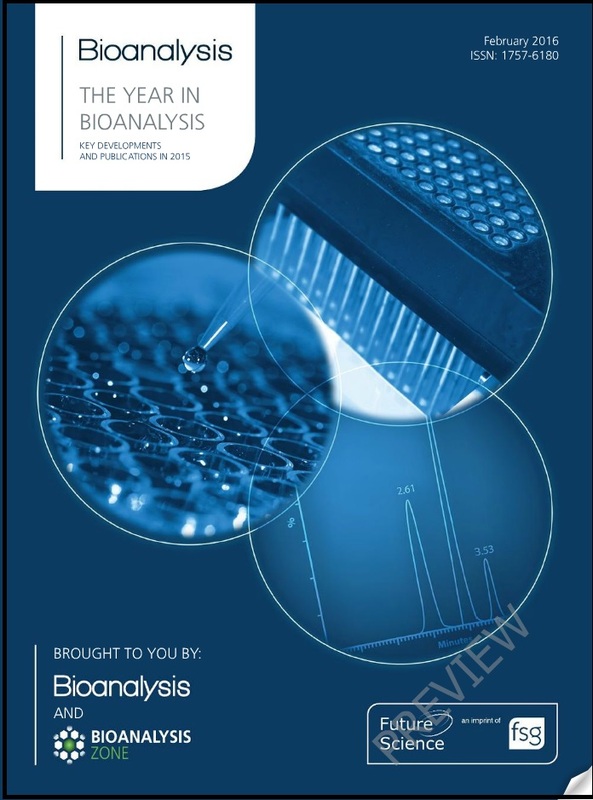 Critical bioanalytical assays were adapted to integrated microscale LC to reduce sample volumes while increasing sensitivity. Assays for teriparatide, glucagon and human insulin and five analogs were transferred from 2.1 mm analytical scale LC to a 150 µm scale system.